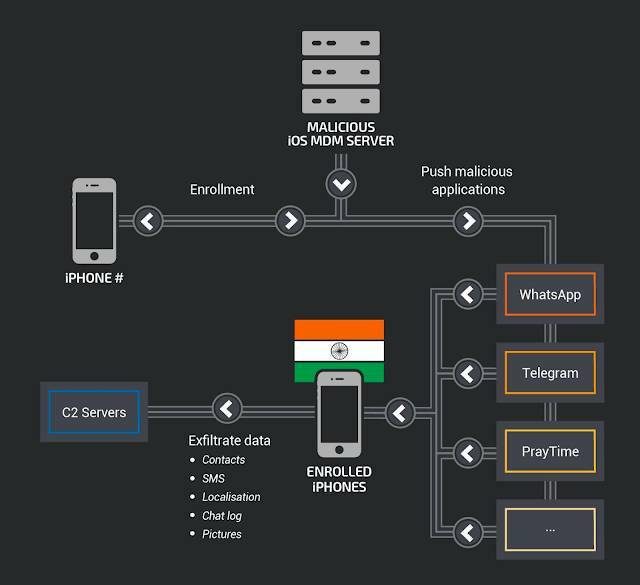 Using either physical access or – more likely – social engineering trickery, certificates from a selection of two sketchy MDM servers were installed on targeted iPhones. This gave the hacker-controlled MDMs admin rights that were abused to load bogus versions of WhatsApp, Telegram and other apps, security researchers said. Log analysis of files left on the MDM servers and the malware’s command-and-control (C2) server revealed that the malicious code had run since August 2015. Cisco Talos warned: “Users must be aware that accepting an MDM certificate is equivalent to allowing someone administrator access to their device, passwords, etc. This must be done with great care in order to avoid security issues and should not be something the average home user does. “The likely use of social engineering to recruit devices serves as a reminder that users need to be wary of clicking on unsolicited links and verify identities and legitimacy of requests to access devices,” it added.